A commanding profile from the Lucien Piccard Matador collection. 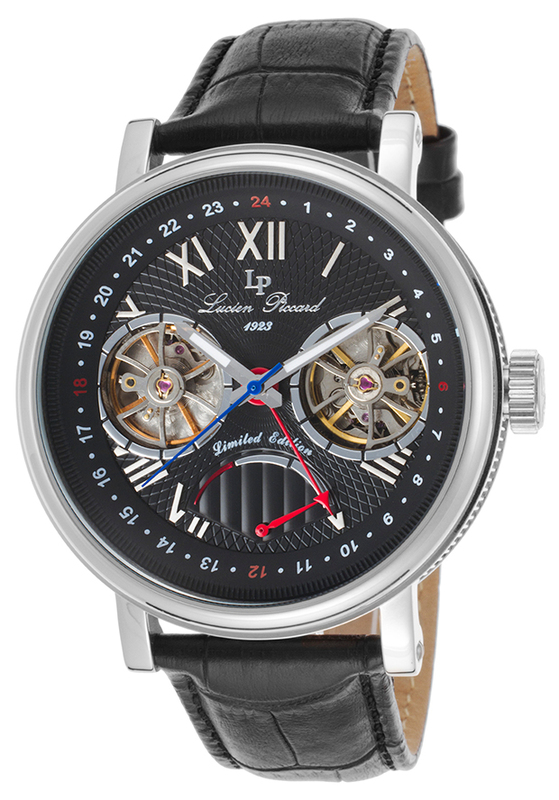 This limited-edition men's twin balance wheel automatic men's timepiece recalls the legendary performance and design the brand is renowned for. The impressive 46mm diameter case in your choice of polished stainless steel or rose gold-tone steel is presented on a handsome leather strap. The attractive dial features two open-heart skeleton windows displaying the dual-wheel mechanism inside, a power-reserve indicator, polished sword hands and Roman numeral hour markers.